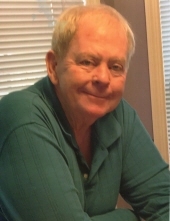 Celebrating the life of Nathaniel Jack Ezzell, Jr.
Obituary for Nathaniel Jack Ezzell, Jr.
Nathaniel Jack “June Bug” Ezzell, Jr., 70, returned to his heavenly home on Saturday, October 20, 2018 after a valiant battle with cancer. His devotion to his family and his firm belief in God supported him in his struggle and ultimately gave him peace. Jack was born in Wayne County on July 23, 1948 to the late Marie B. and Nathaniel Jack Ezzell. For many years, Jack owned and operated Jack Ezzell Construction in Goldsboro. He proudly served his country in the United States Navy during the Vietnam War. Jack loved The First Pentecostal Holiness Church and was a dedicated and faithful servant. While in retirement Jack continued to enjoy serving others in the ministry of Kingdom Builders and Men’s Ministries at The First Pentecostal Holiness Church. He had a lasting impact on everyone he met and will be dearly missed by his many friends. Jack’s greatest joy was spending time with family and friends and telling his special stories. Jack was inspired by Kristi Schremp who was the founder of Sozo Therapy, which is a non-profit that seeks to inspire and empower people who are battling an illness, stress and anxiety or depression through God's Word. The blanket ministry of Sozo Therapy, By His Stripes, was a ministry Jack connected with after Kristi’s death. He will be remembered by many for giving out over 500 blankets to those who needed the touch of its ministry. Jack was kind and soft-spoken, and always had time to answer a question or solve a problem, no matter how small. He will be dearly missed by his loved ones and countless others, who celebrate the fact that he is at peace with his creator. The family will receive friends on Wednesday, October 24, 2018 from 6:00 – 7:00 p.m. at The First Pentecostal Holiness Church followed by a service to celebrate Jack’s life in the sanctuary at 7:00 p.m. with Pastor Bill Rose officiating. The family will also greet friends immediately following the service and other times at his home. A committal serivce with Navy military honors will be held on Thursday at the Eastern Carolina State Veteran's Cemetery. Jack is survived by his wife of almost 50 years, Diane Gray Ezzell; daughter, Marquita Ingram and husband Joey, daughter, Shownell Ezzell McCoy; son, Kade Jackson Ezzell; and granddaughters, Sydney and Morgan Ingram. He is also survived by his sister, Linda Faye Brock and by many of his friends at The First Church and the Grown-up Daycare. In addition to his parents, he was preceded in death by a sister, Betty Carol Moore. Special thanks to his church friends, the nurses on the fourth floor of Wayne UNC Healthcare as well as his doctors who cared for Jack and his family in so many kind and thoughtful ways through the years and during this time of loss. In lieu of flowers, the family suggests memorials be given in Jack’s memory to Sozo Ministry in care of The First Church, 1100 The First Church Road, Goldsboro, NC 27534 or to Cures for the Colors, 203 Cox Blvd., Goldsboro, NC 27534. To send flowers or a remembrance gift to the family of Nathaniel Jack Ezzell, Jr., please visit our Tribute Store. "Email Address" would like to share the life celebration of Nathaniel Jack Ezzell, Jr.. Click on the "link" to go to share a favorite memory or leave a condolence message for the family.